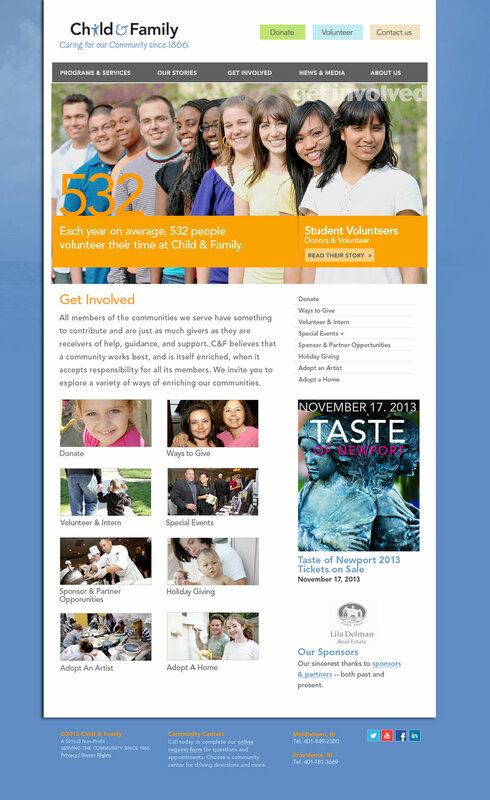 Website redesign to improve user-experience, accessibility and community involvement. Comprehensive discovery, strategy, architecture, design, implementation and training on the Drupal Content Management System. E-commerce events pages and responsive website design for mobile. Integration with third-party donor-management. 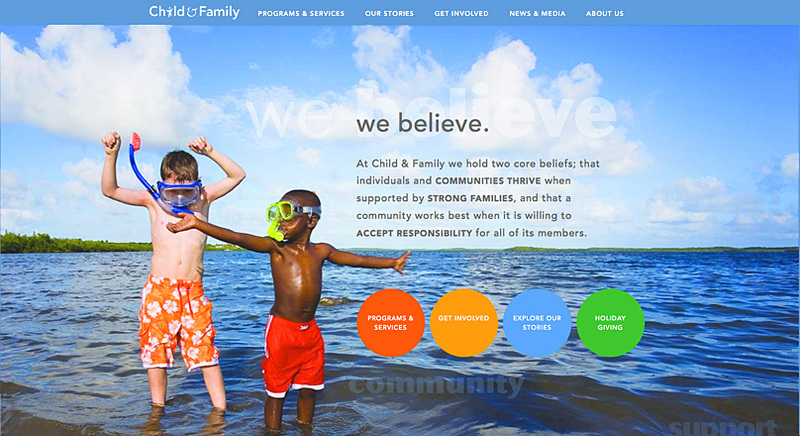 A er its primary goal of connecting the community to extensive social services programs, the new Child & Family web presence needed to be “donor-centric.” We cra ed an experience and structure that shares personal stories from clients, volunteers and philanthropists with tasteful calls to action encouraging visitors to donate, volunteer or signup. Our strategy teases related content and leads users through the site and helped bring the organization’s mission to the forefront - repositioning the brand as a private non-pro t, not state agency. Services included Creative Design, User Experience, Drupal Commerce/CMS. API Integration with external CRM. Social Media integration.